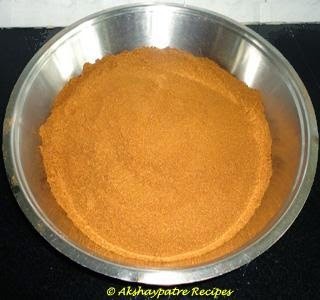 Maharashtrian kala masala recipe - Kala masala is a traditional and very popular Maharashtrian blend of spices, which is very flavorful and takes the dish to an extra high level. 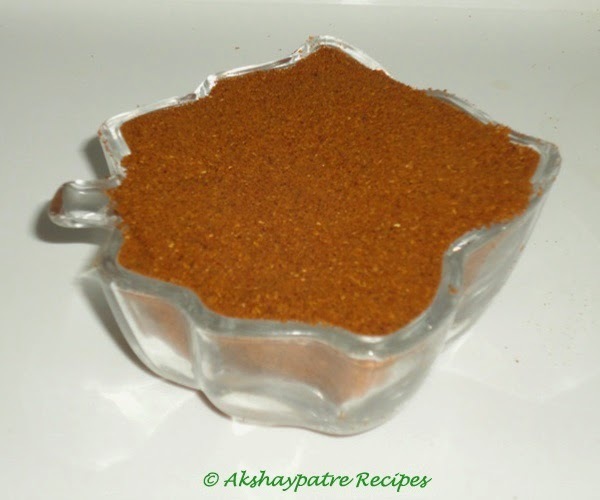 This masala is very handy and useful in making sabzis, amti, dal and usals. 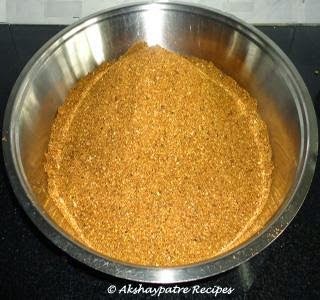 It can also be used in non-veg dishes along with other spices. 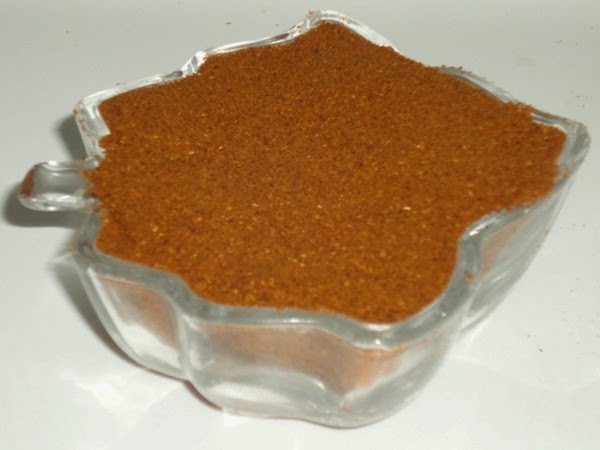 I made this kala masala without dry coconut for the longer shelf life. Sometimes, I add dry coconut along with Kala masala while making the Maharashtrian style vegetarian side dishes. If you are using dry coconut, dry roast it until light brown and crisp. The flavor remains intact if you store this masala in an airtight container in double zip lock plastic bag. Heat sufficient oil in a pan. Fry red chilies till they turn aromatic and crisp. Keep it aside. Add nagkesar in the same pan. Fry until aromatic and light brown. Keep it aside. Fry the lavang, bay leaves, cardamoms, chakri phool, dagad phool and javitri for 2 minutes. Keep them aside. Combine together all the fried and roasted ingredients. Mix well and allow them to cool. 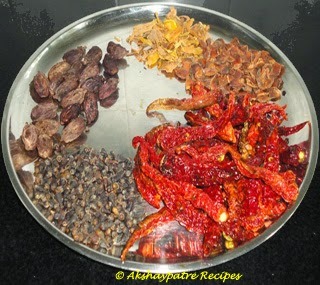 Grind together the fried and roasted ingredients to a coarse powder. Then again grind this coarse powder to a fine powder. Sieve it on a medium sieve. Store the kala masala in an airtight container in double zip lock plastic bag. Kala masala can be stored for about a year. 2. Heat sufficient oil in a pan. Fry red chilies till they turn aromatic and crisp. Keep it aside. 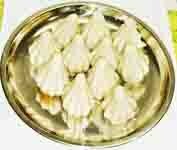 Add nagkesar in the same pan. Fry until aromatic and light brown. Keep it aside. 3. 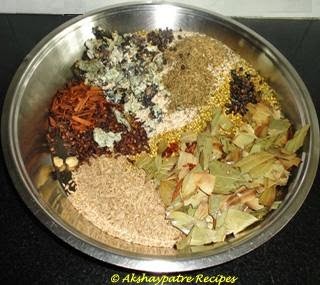 Fry the lavang, bay leaves, cardamoms, chakri phool, dagad phool and javitri for 2 minutes. Keep them aside. 4. Combine together all the fried and roasted ingredients. Mix well and allow them to cool. 5. 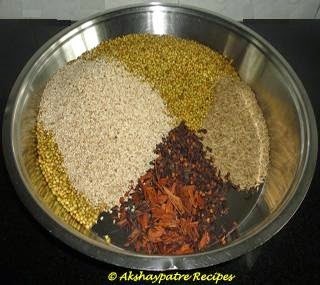 Grind together the fried and roasted ingredients to a coarse powder. 6. Then again grind this coarse powder to a fine powder. Sieve it on a medium sieve. Store the kala masala in an airtight container in double zip lock plastic bag. 7. Kala masala can be stored for about a year. I heard a lot about it..I'll try this for sure. The list of ingrds itself shows how flavourful it would be. I can feel the flavour. 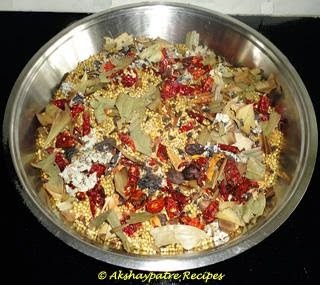 Very useful kala masala recipe. Thanks for sharing it. nice back to basic recipe..
Have not used this masala in any of my recipes. Seems a flavourful spice mixture. Hmmmmm. I think I should prepare and stock this. i was looking for this recipe thanks for sharing..